The title of this show is a metaphor of looking through the eyes of the animals. The founders of Corpus translated the behaviors and motion of animals into a new body language. 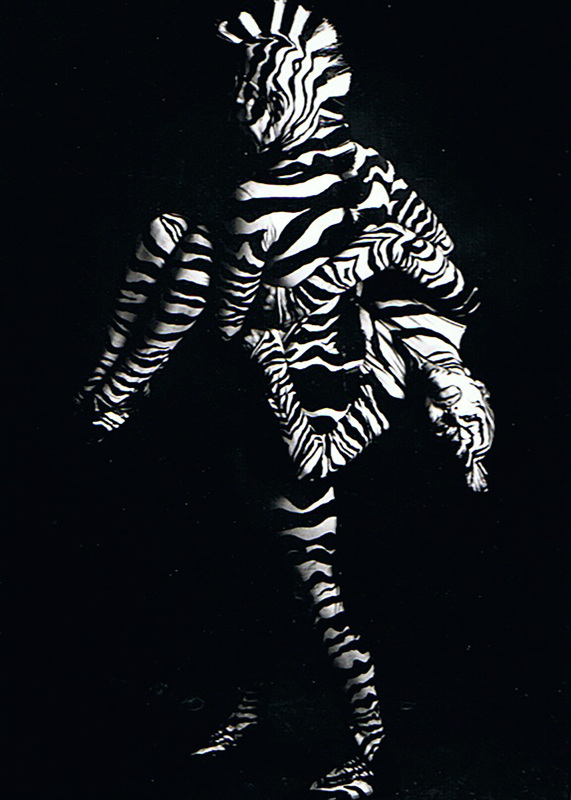 The two acrobats/ choreographers spent months traveling trough the Amazon Rainforest and did zoological studies of zebras and chettahs motions. They transformed this into theatric acrobatic and choreographic forms. Combining partner acrobatics, dance moves, commedia dell’arte, pantomime techniques with special costumes. Mime performer and director Sjoerd Schwibettus worked months with the acrobats on the mime corporel dramatique to create a stronger expressive acrobatics performance. 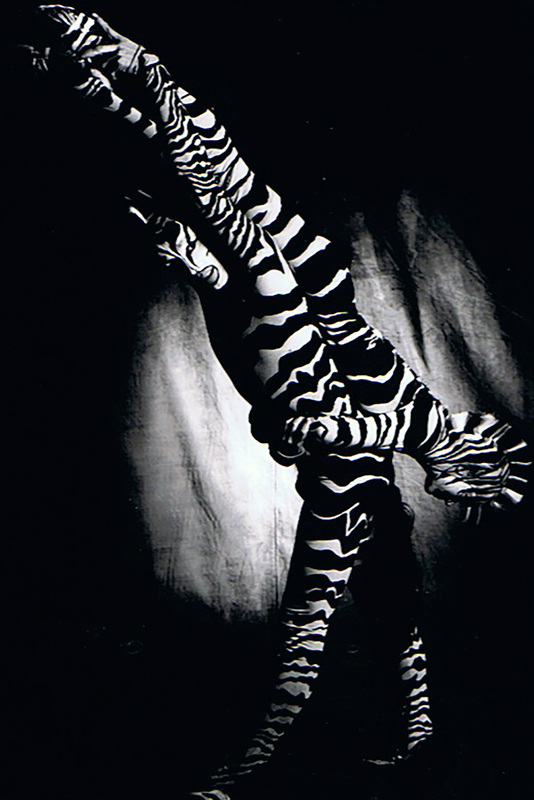 The young audience could not believe there eyes when they saw a zebra giving birth to its baby zebra, later in the show attacked by a cheetah on stage. Corpus is the first Dutch so called contemporary circus (Cirque Nouveau) without animals and acrobats performing animals. The show is mainly performed for youth. More than 150 performances were given.